If you have any questions about the KAIROS information page below please contact us. 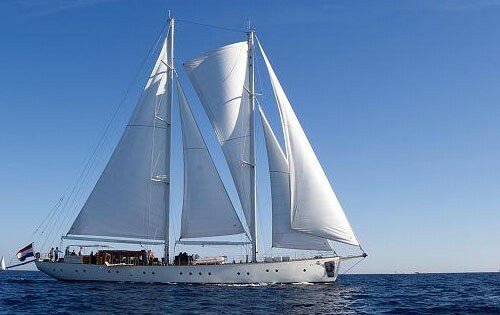 The well sized luxury yacht KAIROS is a sailing yacht. 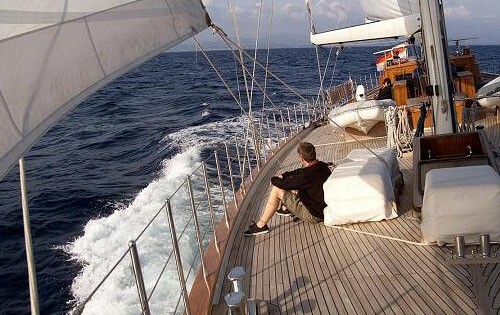 This 38 m (125 foot) luxury yacht was created by Aegean Yacht Services in 2007. Superyacht KAIROS is a beautiful yacht that can sleep up to 18 people on board and has around 6 qualified crew. Finished and launched in 2007 this boat’s internal styling reveals the perspicacity emanating from the boards of Yavuz Osman Mete. 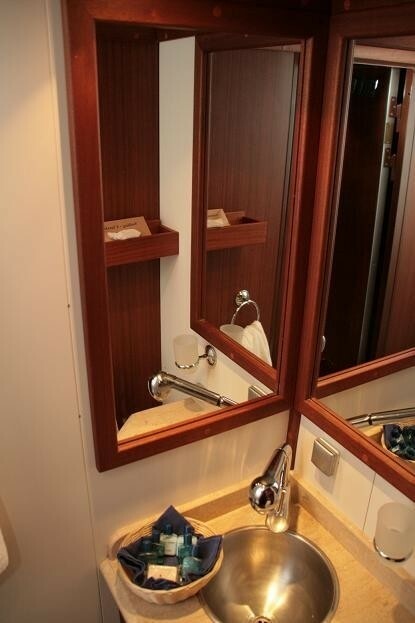 The yacht's general design work came from Aegean Yacht. 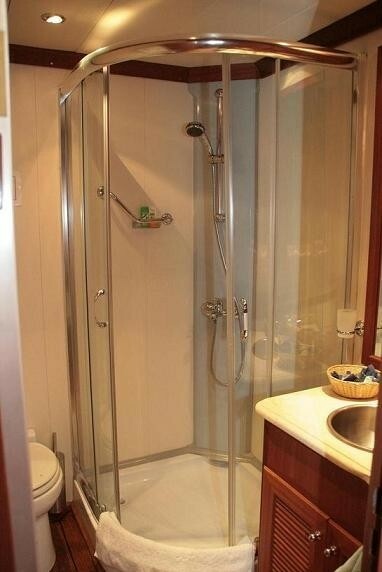 The professional naval architect firm drawings are a products of Aegean Yacht. 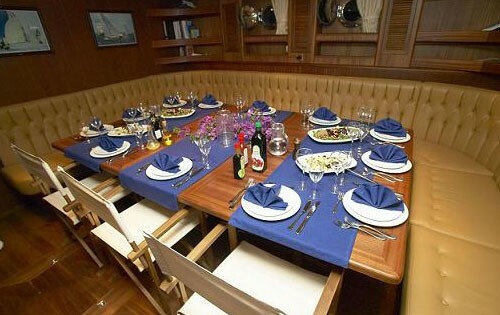 Sailing Yacht KAIROS received her elegant interior designing from the interior design skills of Yavuz Osman Mete. 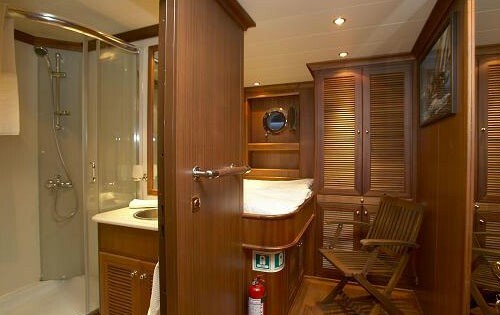 Created by Aegean Yacht Services the yacht was completed in the known yacht building country Turkey. 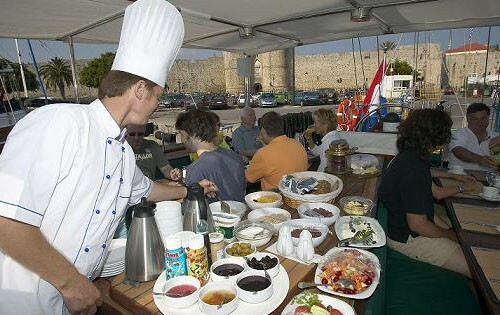 She was officially launched in Bodrum in 2007 before being delivered to the owner. 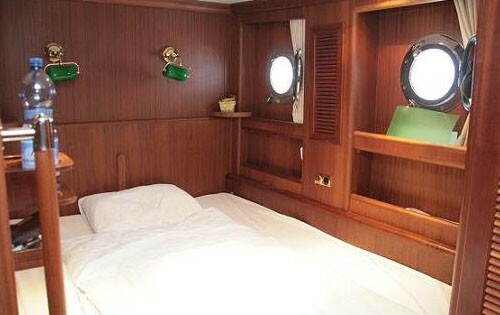 A spacious feeling is manifested with a widest beam (width) of 8.2 m / 26.9 ft. With a 3.8m (12.47ft) draught (maximum depth) she is deep. The material steel was used in the building of the hull of the sailing yacht. Her superstructure over the hull is built from steel. The engine of the KAIROS produces 379 horse power (or 283 kilowatts). Her total HP is 379 HP and her total Kilowatts are 283. 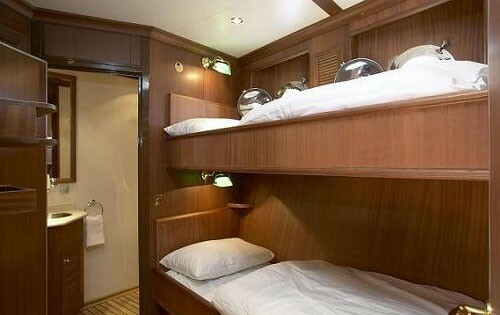 The well sized luxury yacht S/Y KAIROS can sleep as many as 18 people and 6 crew. 38 metres / 124.67 feet. 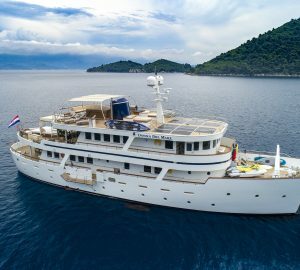 The luxury yacht KAIROS displayed on this page is merely informational and she is not necessarily available for yacht charter or for sale, nor is she represented or marketed in anyway by CharterWorld. This web page and the superyacht information contained herein is not contractual. All yacht specifications and informations are displayed in good faith but CharterWorld does not warrant or assume any legal liability or responsibility for the current accuracy, completeness, validity, or usefulness of any superyacht information and/or images displayed. All boat information is subject to change without prior notice and may not be current.